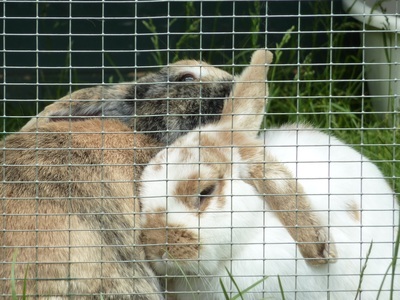 ​Yan & Bailey are 2 bonded neutered male dwarf lops. Whilst we usually only rehome neutered male/neutered females pairs, these 2 boys do get along very well & we have not had any problems with them since they came into rescue. 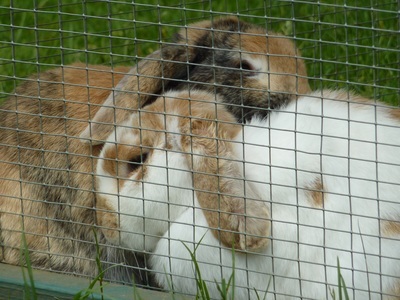 As you can see from the photos, they are the best of friends, so we are looking to rehome them together. 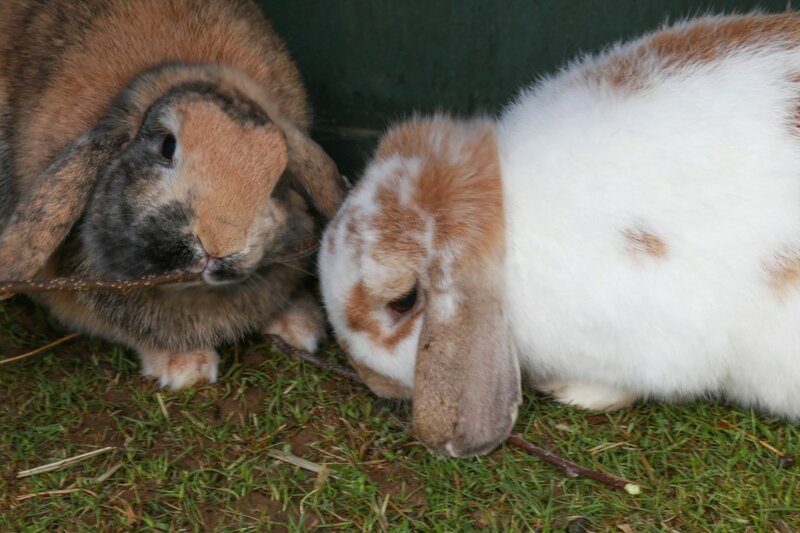 Yan is the tan & white lop & his DOB is May 12. Bailey is the brindled lop & his DOB is Sept 11. Yan has a slight mobility problem so cannot use a ramp which means he cannot live in a double storey hutch. 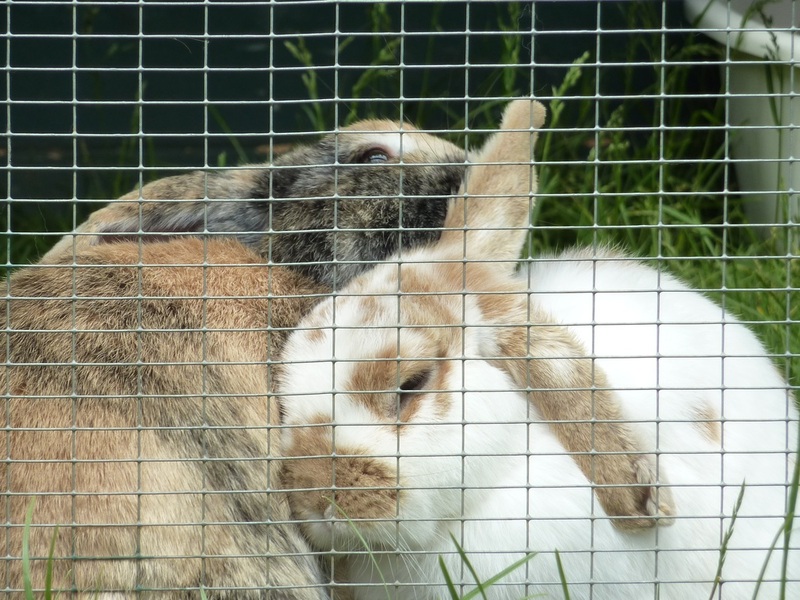 Both rabbits have been vaccinated & microchipped. Both buns are very gentle. 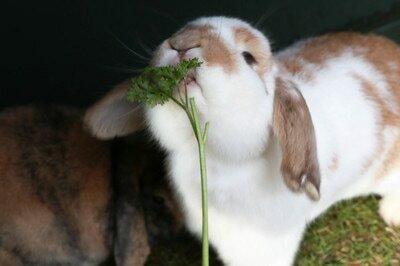 They have not been handled a lot, so will need to be rehomed to someone who is an experienced bunny owner. Thanks to Cheryl Keates for taking such brilliant photos of Yan & Bailey.